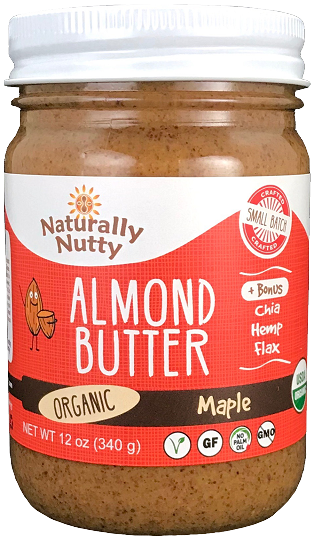 Our organic maple almond butter is made with amazing organic almonds fresh from California with organic maple that adds a rich and sweet flavor. 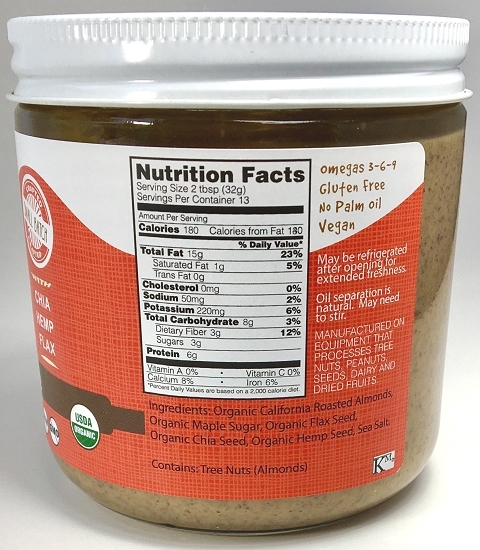 Organic flax seed, organic hemp seed and organic chia seeds are used to boost nutrition. One of my true favorites that can be used in any recipe or by its lonesome! We support all organic farming and its continued sustainability. Almond butter can be kept in the refrigerator or in the cupboard. 6 months in the cupboard, 8-10 months in the fridge. 5lb tubs also follow this timeline.